A typical pain disorder is characterized by burning pain and abnormalities in the sensory, motor and autonomic nervous systems. Pain may appear with no apparent cause in many people with a pain disorder, but usually appears after a person suffers trauma. 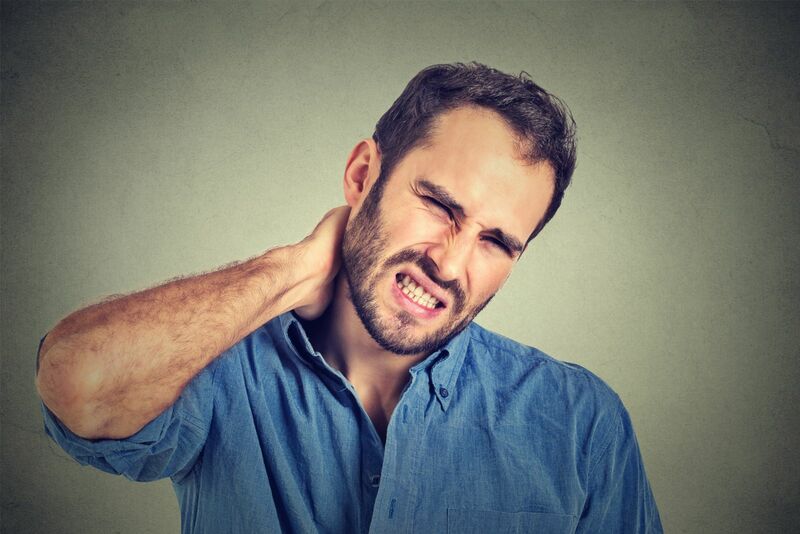 Other conditions that can trigger a pain disorder include spinal deformities, heart disease, stroke, degenerative arthritis, nerve entrapment, shingles, and cancer. In making a diagnosis of a pain disorder, your doctor will conduct a physical exam and may order a diagnostic exam such as an X-Ray, MRI or electromyogram (EMG). The doctor may ask you if you suffered a recent injury, and gather all the information possible about the injury. He or she may then note if there is swelling or excessive accumulation of fluid in your tissues (edema) or abnormal sweat gland activity near the site of the pain. A person with a pain disorder often has muscle weakness and atrophy, and swollen, stiff joints. A neurological exam is usually warranted to look for severe pain as a response to a mild stimulus. Your doctor may order other tests to rule out conditions. In areas affected by a pain disorder, the skin and deep tissues can be red, abnormally warm and painful to the touch. A person with a pain disorder may experience physical changes such as excessive sweating or flushing, swelling of tissues, shiny skin, severe burning pain, and changes in the muscles, joints, or bones. Other symptoms include tremors, twitching and muscle weakness. Neuropsychological tests can be administered to help to identify how or where a claimant is suffering cognitively, and effective utilization of such testing can help demonstrate a claimant’s impairment. Because the cause of and cure for many pain disorders is unknown, medical treatment tends to center on controlling the pain and maintaining flexibility and mobility. Treatment modalities generally combine medications, physical therapy, nerve blocks, and psychosocial support. Proving total disability and being approved for long term disability benefits because of a diagnosis of a pain disorder can be difficult because there are no specific criteria for approval. Pain can be completely debilitating, so you should document your pain. For example, your medical records may show that your pain disorder has caused you to suffer gross anatomical deformity, such as subluxation, contracture, bony or fibrous ankylosis, and/or instability. Or, your records may show you have chronic joint pain and stiffness with signs of limitation of motion or other abnormal motion of the affected joints. In these types of instances, you may submit MRIs, CT scans, or X-rays that show the destruction or abnormality of the affected joints or bones. You should submit evidence as to whether or not and to what extent your pain can be alleviated by medical treatment, what treatments you have pursued, how you have responded to treatment, and how your pain limits your ability to function. Because a pain disorder is not easily proven, you should seriously consider obtaining the assistance of an experienced in handling Long Term Disability cases to assemble your medical documents and present your case. If you are disabled because of a pain disorder that is so severe it prevents you from working, you may well be entitled to Long Term Disability benefits. Although total disability based on a pain condition can be difficult to prove compared to other disabling conditions, working closely with medical professionals and a qualified Long Term Disability attorney to collect and present the appropriate documentation to support your disability claim can help to ensure that your pain disorder disability case will have the highest possible chance of success.